Thousands of players are already playing this game and it features beautiful 2D pixel art. The game aims to be extremely simple and everything is controlled by mouse. Just explore the town, kill monsters, find new weapons and chat with players from all around the world. 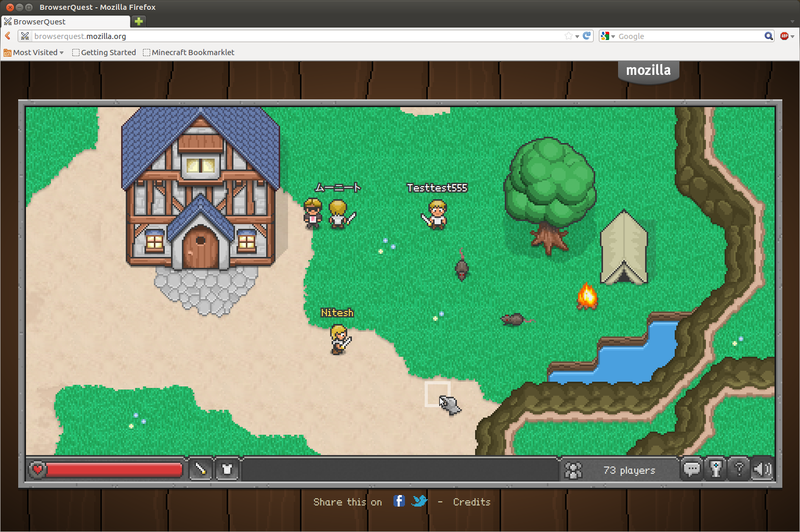 Head over to http://browserquest.mozilla.org/, name your character and start playing the game. 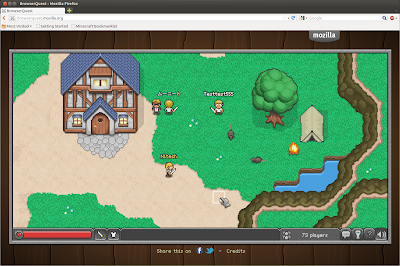 BrowserQuest is open source, you can check out full source code at GitHub.